Everglades National Park spans more than 1.5 million acres with multiple entrances and visitor centers. The main entrance is located in the city of Homestead in Miami-Dade county. The park was created in 1947 in an effort to protect the area from further damage to this extremely important environmental area. The Everglades, or "River of Grass", consists of wetlands and forests fed by water flowing out of Lake Okeechobee located to the north of the park. This national park protects about 20% of the southernmost part of the Everglades as it flows into the Florida Bay. Within its suptropical landscape, you can find nine different habitats: marine, freshwater prairie, mangrove, hardwood hammock, coastal lowlands, pineland, freshwater slough, cypress, and estuarine. Everglades National Park gives you many opportunities to catch native Florida wildlife and flora while gaining a better understanding about the local history and the important role the Everglades plays in Florida. The park is home to hundreds of species of fish and birds, 40 species of mammals, and 36 threatened or protected species. Every year about a million people visit the park to enjoy camping, trail walks, fishing and free ranger lead programming. Bring a canoe or bicycle to explore the multitude of paths and waterways. Don't have one? You can also rent a bike or canoe within the park at the Flamingo area. 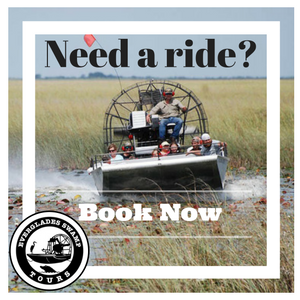 If you want an informative adventure within the Everglades, there are also tram and airboat tours usually provided by third party vendors. Fishing is permitted within the park but you must have a fresh water or salt water fishing permit which can be bought at the Flamingo Marina or in town before entering the park at Walmart or local bait shops. Swimming/Snorkeling is not allowed at all. The park's attractions include the Ernest F. Coe Visitor Center, the Nike Missile Base, Royal Palm Visitor Center, Pa-hay-okee Overlook, Long Pine Key and Flamingo Campgrounds, as well as several popular trails. The fee to enter the park is $10 and the park never closes.